The 22-year-old man charged with the murder of a man on an Alexandria, Virginia, playground says he only meant to talk to the victim, but he lost control, court documents reveal. Alvaro Saenz Castro pleaded guilty Thursday to first-degree murder in the 2015 death of 24-year-old Jose Luis Perez Ferman. Two teenagers were also charged with Ferman's death. In April, Mauricio Membreno Portillo, 17, was indicted by a grand jury on charges of first-degree murder and conspiracy to commit murder and is being tried as an adult. Leidi Granados Guitierrez, 16, already pleaded guilty in the case to a charge of felony destruction of evidence of murder. On Nov. 8, 2015, the victim was having dinner with friends at National Harbor when he received a phone call and began to act withdrawn, court document state. He said he felt ill and wanted to be dropped off at home. After he was left at home with his girlfriend, Ferman left the house, saying he was going to smoke. He never returned. According to the prosecution, the victim and Guitierrez agreed to meet in at Beverly Park that evening for what the victim believed would be a romantic encounter. Court documents say Guitierrez and Castro were dating at the time. When Castro found the messages between Guitierrez and the victim, he told her that she needed to bring Ferman to the park for him to "talk it out." When the victim arrived at the park, Castro and Portillo were waiting for him, the prosecution said. Castro told police that he originally wanted to tell the victim to stop talking to his girlfriend, but he "lost control." Castro said he struck the victim with a small knife and machete. 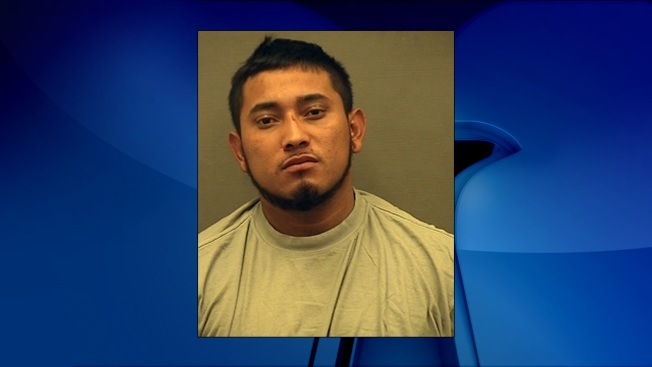 According to court documents, Portillo struck the victim with a machete as well. Ferman's body was found in the park the next day under a playground bridge at Beverley Park. An autopsy showed he died from stab and chop wounds. Castro will be sentenced on Oct. 20, 2016.